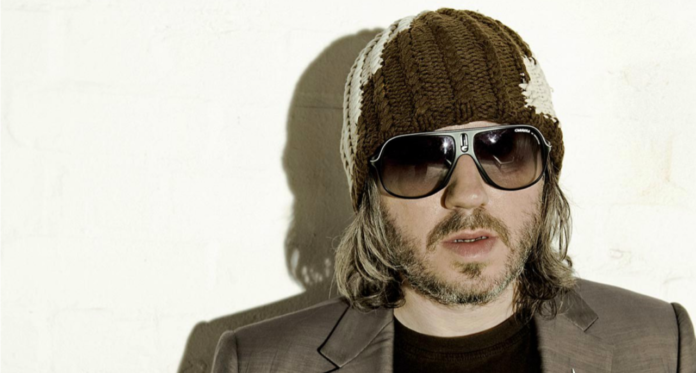 MERCURY Prize winning, multi million selling artist Damon Gough (aka Badly Drawn Boy) confirmed to Limerick Post this week that he is “three quarters of the way” into completing a new album which will be on released in 2019. No title for the record yet, but after a break of over six years from recording. Damon Gough has a wealth of material to share. His solo show this weekend in Limerick may feature a couple of new tracks. Confidence in the new songs is building for the songwriter. Damon says that the album will not focus on relationships and breakups, but has one song called ‘Wish You Happiness’ which reflects on where the songwriter is at today. He recently married again and is a dad again with an 18 month-old. Damon also has two teenage kids from his first marriage. Damon reveals that in his songwriting he has a sense of starting afresh with his new material. It’s a time of getting back to basics for the Bolton raised songwriter with Roscommon connections through his mother, Josie O’Brien. “I’m in a similar position to where I was before i put that first album out. “This album I’m making now feels almost more like the first album. I’m older, I’ve had six years of soul searching. I’m at a different time in my life. In 2015 he re-released and toured his Mercury winning debut ‘The Hour of the Bewilderbeast’, playing the album in full. A new documentary ‘About A Badly Drawn Boy – The Story Of The Hour Of Bewilderbeast’ has just been released, telling the story of the making of that classic album, with interviews with those who contributed to the music and Damon’s peers in music: Jimi Goodwin (Doves), Guy Garvey (Elbow) who access the influence of the album that soundtracked many young romances and could be found in any music loving student bedsit in the late 1990s. Artists as diverse as rapper Ghostpoet chip in and tell the interviewer that it was the first record they ever bought. The documentary sets out to “partly explain how the album came to be,” says Damon. Expect plenty songs from the debut album and perhaps a few new songs when Badly Drawn Boy performs at Lime Tree Theatre this Saturday November 10.